There are gifs that perfectly sum up an emotion or experience, and there are gifs that defy reality and beg for explanation. These will be the basis of W.P.G., The Writing Prompt Gif Game. I want people to send each other the world’s best and worst gifs as writing prompts. The gif can appear at any point in the story. End the story and tag another person with a new gif, invite them to build on the story, whatever you like. This is all just an excuse for me to collect my favorite gifs for posterity and pretend I’m being productive, but that’s not important. B-Rabbit stood on the stage, trembling, mouth dry, about to lose the most important rap battle of his life before it even began. He stared into the lights to blur the vision of his swaggering rival and jeering crowd, to burn away everything except for the beat. His fingers were clenched around the cheap mic, knuckles turning white as he tried to hold onto the words that were vanishing, unborn, from the tip of his tongue. He dug deep inside and dredged up all of his anger, fear, passion and pain. It threatened to choke him or tumble from his mouth as sobs and shrieks, but he forced it, through sheer will, to come out as truth. And there you have it, the first of doubtless millions of WPGs. Greetings, Boils and Ghouls. Or should I say, Scabies and Mental men? This post is for short cuts, so I’ll get right to it. Yes, I know I said ‘cuts’. Zip it. The Music Mix: Horror Reggae! That’s all the treats for this year. Have a Happy Hallowe’en! It has recently come to my attention that there is a sub-genre of music called Horror Reggae. I don’t get a lot of Reggae in my diet, but the dollop of horror makes it quite delicious. Here is a handpicked list of Reggae, Dub, and Calypso horror songs for your Hallowe’en party. Caribbean scares come mostly in the form of Obeah (voodoo, witch doctors), Duppy (spirits) and jumbies (zombies, evil creatures). 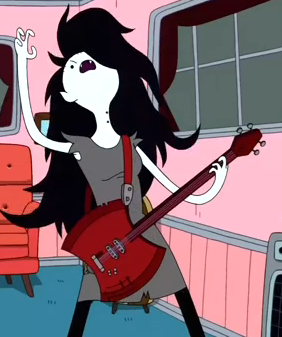 If you want to get political, however, you sing about vampires. Lots of vampires. 1) Dracula Prince of Darkness by King Horror. King Horror seems less interested in metaphors for societal ills and political corruption and more interested in screaming about monsters. Mr. Brown is a clown who rides to town in a coffin. A diss track against a girl so ugly she needs necromancy. Damn. For my other Halloween playlists, click here, here, here, here, here, here and here. Here’s another 13 songs for your Halloween party. The theme for this year’s mix is Horror Movies, featuring songs from scary movies or about movie monsters. While there are many throat-shredding, head-banging heavy metal bands that write nothing but monster odes, this list will even appeal to mullet-challenged individuals. If you think a song is missing from this list, you may find it included on a previous list here, here, here and here. There are many songs about B-Movies from the 50s and 60s, but I like this one because it’s about a girl who can only be amorous when watching monster movies. I don’t know what else Burt Bacharach and his band The Five Blobs sang about, but this is the definitive song about blobs. I like how simply the love story is laid bare in this catchy tune. This entire song is performed live several times in The Howling 2: Your Sister is a Werewolf. This is the song from the prom at Teen Wolf to which the Teen Wolf dance is choreographed. Dear God I love this movie. Sometimes Ramones is bettah. For bonus horror movie music, checkout ‘Chainsaw’ about a certain massacreeee. Here’s a quick rap about Michael Myers. This song was performed live in Lost Boys, and the saxophone player really brings the heat. 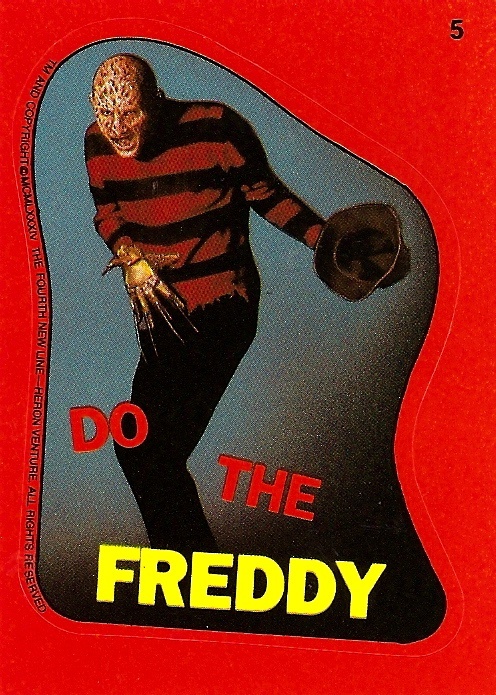 This movie is written about Jason Voorhees for Friday the 13th part 6. Not only does the music video have Cooper in a hockey mask running around a theater showing the movie, Jason himself makes a cameo. Not to be outdone, Dokken made a music video for Nightmare on Elm Street Part 3 where they rock out so hard they give Freddy Krueger a nightmare. Did somebody say FREDDY? 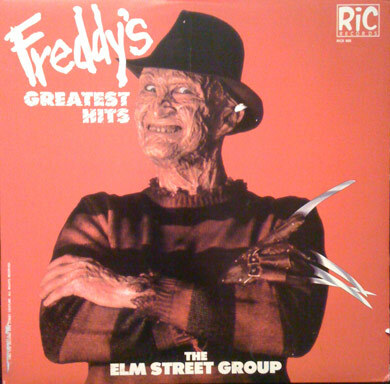 Two rap songs weren’t enough, so Freddy cut an album with The Elm Street Group that will definitely give you nightmares. Other highlights include ‘Dance or Else’ and ‘Down in the Boiler Room’. Feel free to suggest more songs in the comments. I hope you enjoy the music and have a Happy Halloween! The children of the night…what music they make! Here’s another 13 songs for your next Halloween party. This isn’t a definitive list, just a few hand-picked tunes that will enthrall a crowd with different…tastes. As a horror-starved kid I was thrilled to find a main stream song about a vampire. This entire album has a lot of great songs to set the mood for your party, especially if it’s ‘that kind of party’. I love the honky tonk sounds in this one. I’ll admit, this is a new one to me but I dig it. This is the least bizarre of Roky Erickson’s songs, but a good place to start getting weird. I chose the short version from the soundtrack because I like the mood and piano, but there are longer versions on youtube. This song is deadlier than Dracula. This song popped up randomly on a Wu-Tang station but it’s different enough to make the cut. There’s often a song on these lists I refuse to apologize for, and this is that song. The greatest song to come from True Blood since ‘Bad Thing’ and better than the last 3 seasons combined. I don’t even know what’s going on with this one. Konami released a rap album? With music from Castlevania? This song should be played at every party, regardless of the holiday. This video is pure, un-cut madness straight from the 80’s. Don’t forget to check out previous lists of handpicked Halloween songs from other years here, here and here. Do you know of a song that should have made the list? Let me know in the comments.